Blog readers can sometimes be a bit, um, perverse. Here I went and posted my latest FO--Roy's Formal Socks--a work that reflects my impeccable taste and fashion sense, and all anyone wanted to see was the tuxedo that completes the outfit. Note the unremarkable bow tie and studs. We just haven't found the perfect set to complement the jacket. Harry, of course, has a similar outfit, but I am afraid I melted all my camera lenses taking this picture, so you will have to use your imagination: Just think of a gigantic spider in psychedelic formal attire whizzing around on his purple iPod/skateboard. I understand Knitty and Color is getting a bit tired of carding Jelly Bean batts. 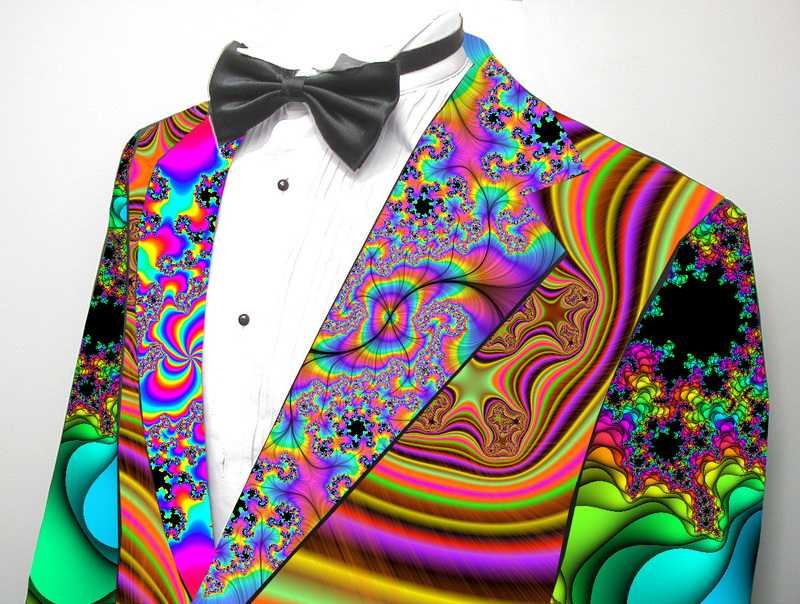 Apparently, Roy isn't the only one who owns tasteful tuxedos. Someone even commissioned me to spin six of these batts for her very own sets of formal foot covers. I have been busily knitting away on the Queen Susan, but frankly, working on this shawl is akin to scrubbing Boston Common with a toothbrush. And it currently looks like a hairnet for 700-pound pumpkin. Nothing much to show yet. Check back in, say, six months. Next week, I am off to the Maryland Sheep and Wool show. Several people have expressed interest in meeting me, so I made myself a t-shirt sporting my avatar on both the front and back. 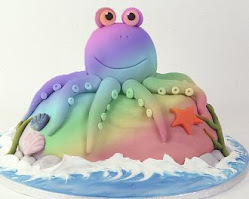 If you see a short lady wearing a rainbowed octopus, it's probably me. Stop and say hello! 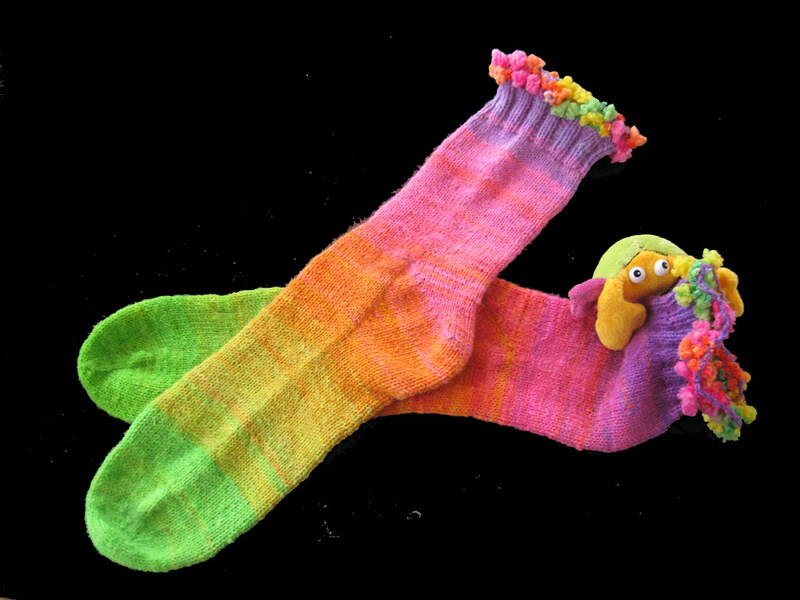 I refuse to answer any questions regarding the bobble yarn that so delicately rims the top of these socks. Suffice it to say that it's a long story involving Asherbanipal, a radish, two feemsters, and a Batmobile.